What is the Super Bowl without chili? 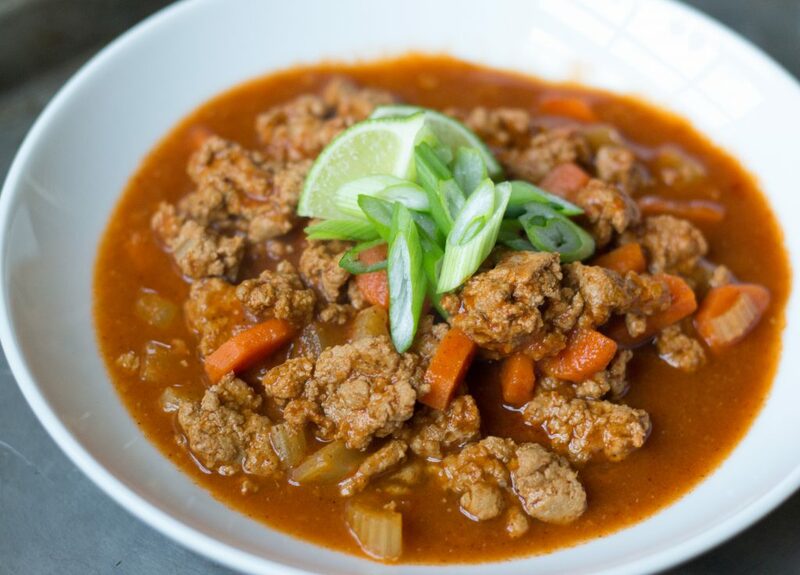 While I love my Confetti Turkey Chili more than anything, I wanted to change it up this year. My sister loves buffalo wings and buffalo cauliflower bites, so I decided to make Buffalo Turkey Chili. It is everything you love about chicken wings… without the need to use 507932 napkins. This chili is also one of my new go-tos because you can MAKE IT AHEAD OF TIME (AKA the day before), so there is no hectic rush on party day. All you need to do is pop it into a pot to reheat, set out bowls and fixin’s, and then let everyone help themselves. It’s a Super Bowl Party Turkey Dinner Winner! 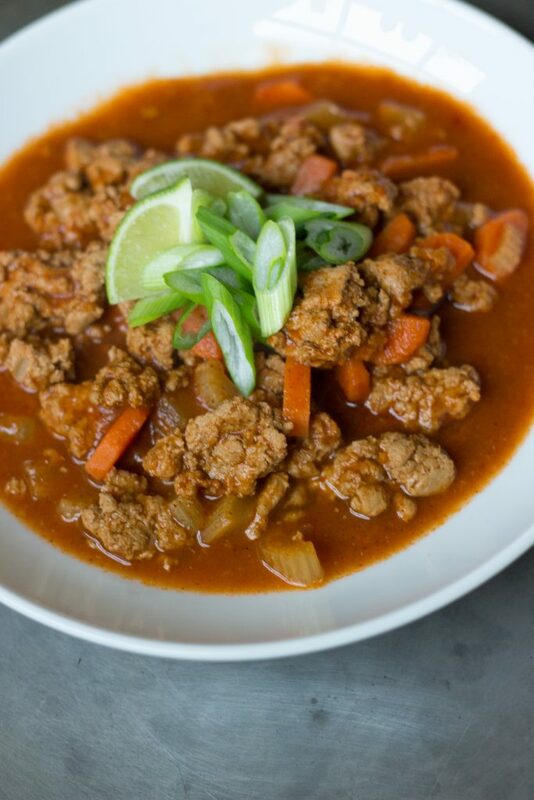 This chili starts out with the veggie component. In a large deep-side skillet with a lid set over medium heat, add olive oil to the skillet. 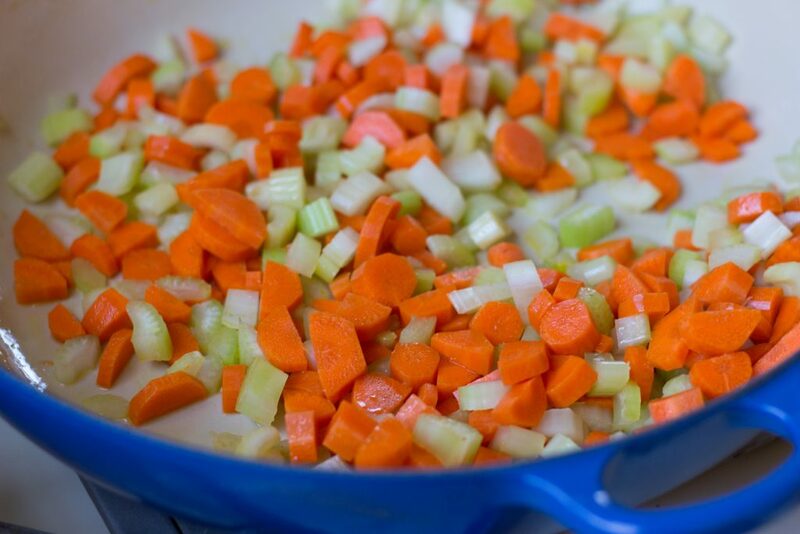 When the oil is hot, add in some chopped carrots and celery. What I love about this chili is that the things you traditionally serve on the side of wings are in the chili!! Cook the vegetables until they are soft. Then pop in some cloves of minced garlic and cook until fragrant. 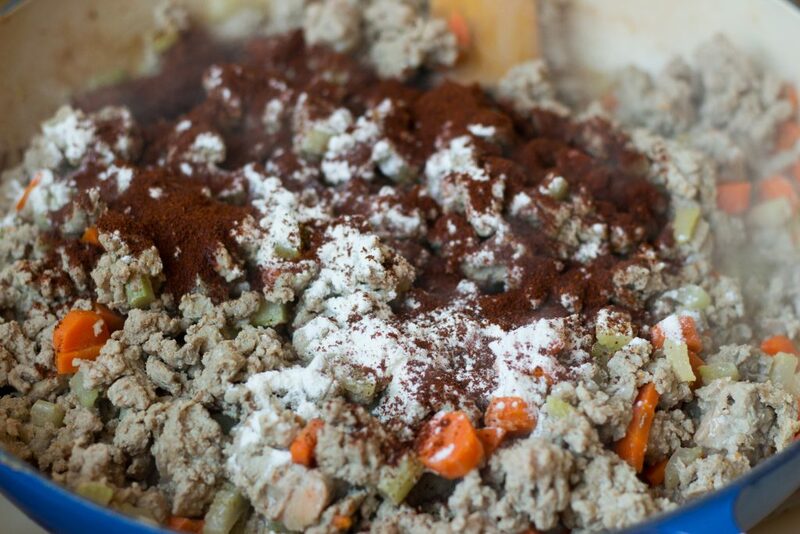 Then add in the ground turkey. I use the 94% lean turkey breast because there needs to be a little fat to prevent the turkey from drying out. Cook the turkey until the meat is cooked completely through. When the turkey is cooked, add in dark chili powder, salt, pepper, and some flour (to thicken everything a little). Pour in one large bottle of low-sodium vegetable juice (plain, please!) and add as much hot sauce as you want (I added in a quarter-cup of hot sauce). Simmer the chili for about 20-30 minutes before serving. Then ladle up into bowls and garnish with whatever you like, such as lime wedges or blue cheese dip! A delicious way to enjoy your wings (without getting mess on your couch!). 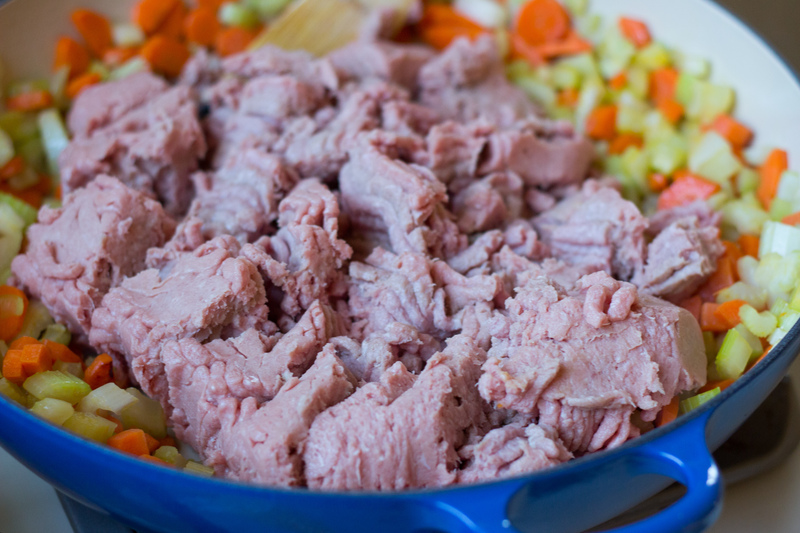 Simply A (RD) Fact: Ground turkey is a good source of lean protein!